When seeking the ideal catheter, safety and cleanliness are the first and foremost concerns. But if you can provide safety and cleanliness with quick and easy application and then also make the device as portable and discreet as possible, you’ve got a urinary catheter that is far superior to other catheters. There are many challenges to developing such a product. For instance, since catheters need to be hydrated and lubed for insertion, they often require additional lube. Next, it needs to be fool-proof sterile, meaning packaged in such a way that it’s obvious to the user if the sterility has been compromised. They also need to be in the right size and materials to protect the urethra and bladder from discomfort and damage. Then, you’re faced with the challenges of packaging such a product so it’s portable, safe, and easy. For those active women who are on the go – working, traveling, moving around on a daily basis – there’s always demand for improvements in managing urological needs. Most urinary catheters are cumbersome and packing full length catheters along with lubes to carry with us on a daily basis is not the way we want to live our lives. Coloplast delivers in all of these areas with the most convenient Intermittent Urinary Catheter yet, the SpeediCath Compact. Designed especially for the active woman, the SpeediCath provides superior application when compared to other catheters. SpeediCath is at the proper length for insertion into the female urethra for catheterization, so by design it eliminates potential harm. It has an ultra-smooth texture that is pre-lubricated with a sterile saline solution. The compact design looks similar in size and shape to a lipstick or lipgloss container and discreetly fits in a purse with your other purse goodies. Since this catheter is “all inclusive”, there’s no need to carry around more supplies for a proper cath. Simply use a SpeediCath by twisting it open, pulling out the pre-lubed tip while holding the easy grip handle and insert. Once finished, place the catheter tube back into its container, discard, and go about your day. Coloplast’s latest addition to their line of catheters for women makes using a urinary catheter far more convenient than regular catheters. 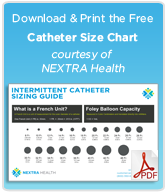 It makes application fast and easy with the added benefit of portability and discreetness unmatched by any other female intermittent catheter on the market. SpeediCath costs more than the standard fare of standard silicone urinary catheters, so it’s probably not the only catheter you’ll want to have around. 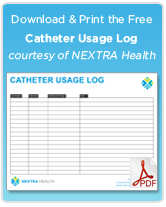 If your cathing on a regular basis, costs add up quickly, so you will likely want to keep cheaper urinary catheters at home where it’s easier and more comfortable for cathing and the extra discretion isn’t necessary. 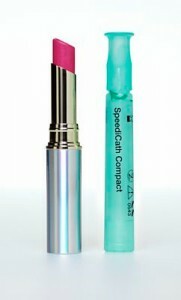 But for those prone to cathing in public places or in need of quick and painless cathing, pack a few SpeediCath Compact tubes in your purse before you go about your day and you’ll be glad you did.